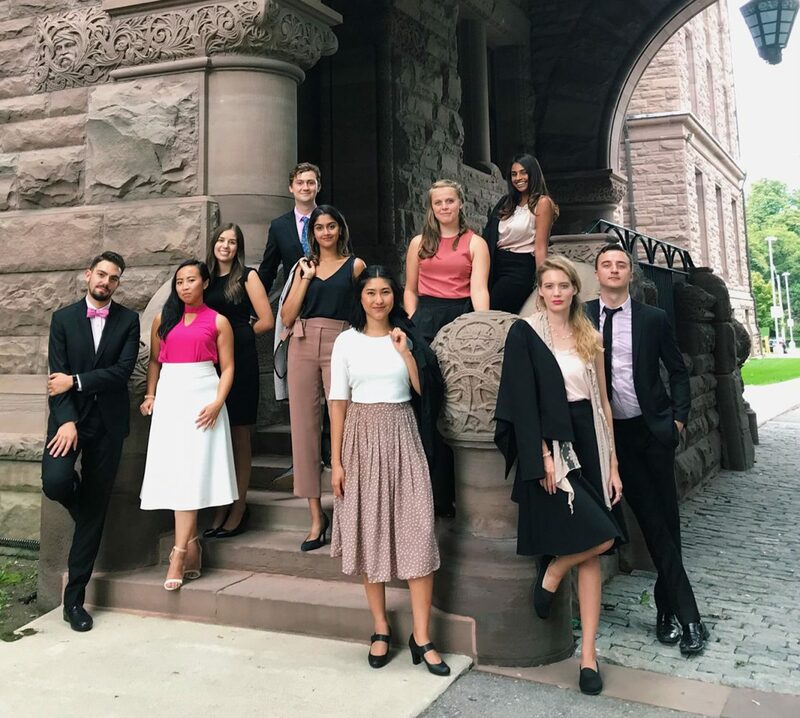 The interns and Hillary Hartley have something in common: we’re all newcomers to the scene of provincial politics. Deputy Minister Hartley worked in the U.S. federal service before she was invited to take on the role of Ontario’s chief digital services official just over a year ago. Within the Ontario Public Service (OPS), she serves as the Deputy Minister of the Ontario Digital Service (ODS) and subsequently, as Ontario’s first Chief Digital Officer. Ms. Hartley was joined by Tanya Coyle, Head of Engagement for the ODS. In California, Deputy Minister Hartley was the executive director and co-founder of 18F, a government agency that builds digital services focused on the interactions of individuals and businesses with government. Ms. Hartley told our group that she co-founded 18F with colleagues she met during her year as a Presidential Innovation Fellow. The US Presidential Innovation Fellow program brings tech innovation talent to government agencies to create transformation change. Throughout our internship, we’ve had substantial experience navigating online government services to help constituents in M.P.P. offices and conduct research. They’re not always the most intuitive to use or designed with the user experience in mind. The ODS is the government department tasked with improving that. Think of the new and easy to use OSAP calculator. With only a few clicks, you can get a rough estimate of how much you qualify for. The calculator is so accessible that it has led to a rise in the number of students who apply for provincial aid and as a result, overcome the sticker shock of post-secondary education costs. The OSAP Calculator is just one of many examples of the “simpler, faster, better” mentality that Hartley imparts on her team and the rest of the OPS. By design, government bureaucracy is a complex world, preoccupied with rules and mostly averse to risk. After all, if things go wrong, it’s all on the taxpayers’ dime. The ODS is contending with a sector that needs to become more agile and accessible, and better at adapting to the fast-changing nature of today’s society. To aid the current and future teams of the Digital Service in their mission, the ODS has developed the Digital Service Standard. Beyond user experience, the Standard speaks to creating common platforms, being mindful of accessibility, privacy, and security, and ensuring user success at every stage of the design. While the Standard focuses on good design, the key priorities of the ODS extend beyond the user experience. We spoke about government procurement methods and how to attract tech talent in the public sector. Deputy Minister Hartley and Tanya also shared with us their vision of the future of digital government in Ontario. From now on, every time we use the new and improved online services, we’ll be thinking of the ODS team. Thank you to both DM Hartley and Tanya for taking the time to meet with us!